LOVE. 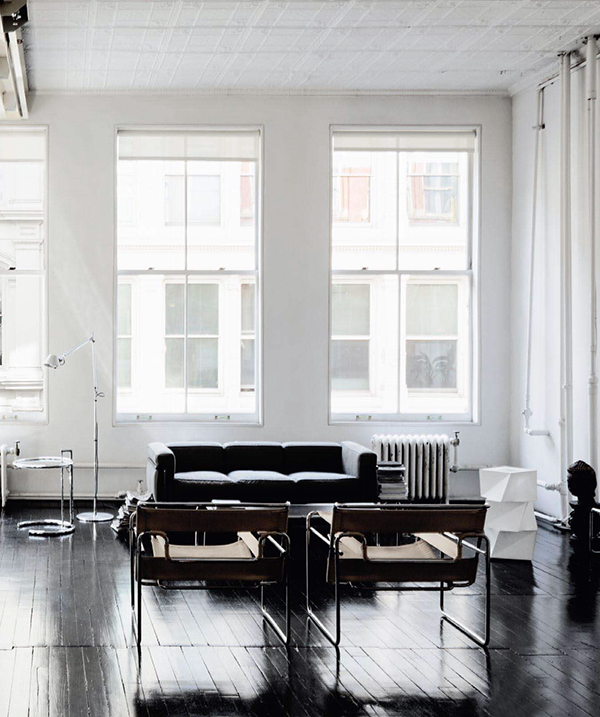 Stumbled upon this gorgeous, airy NYC loft designed by architect Diane Lewis and just had to share it with you guys. Definitely wouldn’t mind those Wassily armchairs in the first picture, and how gorgeous are the dark glossy floors? Such a dreamy place! Follow me on Pinterest for more interior design inspiration! This entry was posted in Interior design and tagged diane lewis, Interior design, nyc loft, Wassily chair by Carolina Engman. Bookmark the permalink. Very beautiful loft, I love the whites. There is nothing like a bright loft, right? That is very lovely interior design. LOVE the black floors! That is so unique! I love black and white interiors. So classic and clean! Love this post. So inspiring! Black and white decoration is my favorite! wow, what an amazing loft! Have you just seen my last post? Even though I’m typically not a big fan of lofts I have to say all the light flooding the rooms and the color combinations look very beautiful. Awesome appartment, I love all-white-furniture. Very nice, love the minimalist style. 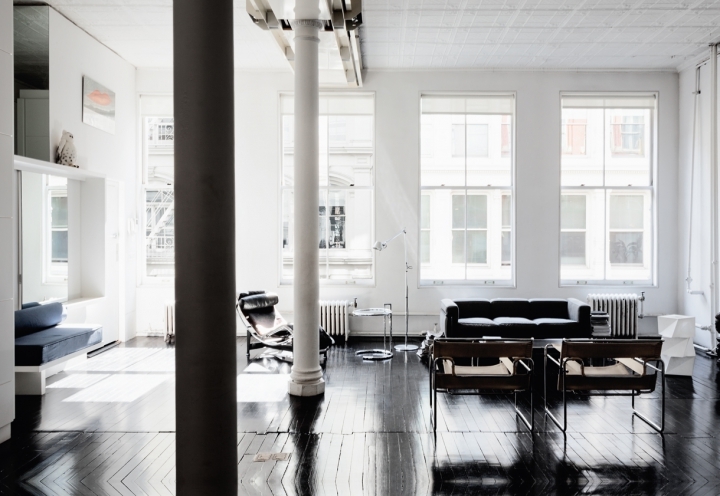 Love the minimalism, I’d love to live in a loft like this one day! The wooden black floor is amazing, so different.. but so chic! That apartment is incredible! Love the black floors!! So much inspiration here! Love it! That’s my absolute dream apartment! It’s plain gorgeous!! Absolutely stunning… This would be my dream home for sure!! It must be great and comfortable to live in such a house. It’s my dream to one day have a flat like this in nyc.